List these rules in your post. 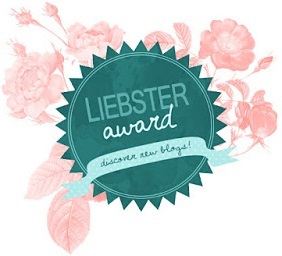 Inform the people you chose of their nomination by leaving a comment on their blog and link them your post. Have you learned any craft because of the hobby? Honestly... just going by 'learned' as an absolute, not really? I dabbled in so many things before dolls that I haven't really taken any up from scratch. I have, however, improved immensely at quite a few. I've gotten far better at sewing because of dolls, and actually learned to enjoy it (handsewing ftw! ), as well as clay stuff, dioramas, and doll painting. I've effectively dropped 2D art at the moment though, and really want to get back into it in 2016. Pencil drawings used to be a big part of my life but have been getting less and less frequent since I got into dolls. Have you gotten a doll you thought you would never get? Umm... well. I never really thought I would end up with a Unoa. I'd spent a long time researching alternate sculpts until Tobi popped up on the marketplace. I also never expected to get a LittleFee. It had been on my list for a far future thing, just to try out sewing for that size, but I didn't think it would actually happen. I got very lucky with both of them. Do you have a preference for any BJD size in particular? Slim mini is my favourite size. They're big enough to have a presence but small enough they're not super heavy or taking up massive amounts of space. The only thing I dislike about this size is the lack of props and shoes and such available. It's the one thing that brings me back to pining over SDs and tinies. Do you collect any other type of doll besides BJDs? I have a little Azone Picco Neemo, but she's meant to be my Unoa's BJD, so I don't know if that counts. I'm more of a plush collecting kind of person. Have you ever "re-shelled" a character? Ehm.... yes and no? When Customhouse was doing their manic discount sales my friend wanted to order one, so I bought a Junior Ai Daria with her to offset some of the costs. I figured I could settle and make her Tobi but really expected it was not going to work - and it didn't. I painted her and made clothes and stuff in an attempt to force it, but she was never 'Tobi'. She got sold within a couple weeks after my friend decided she didn't actually want the other doll. What calls your attention first: the head sculpts or the body sculpts? Head sculpts for sure. I only really pay attention to bodies when I'm considering buying one, or if someone specifically points it out to me. Yep! All the time. Musume's blog is great, and I get a lot of info on new Fairyland, Merrydollround, Iplehouse, Soom and many artist doll releases and WIPs through Instagram. Since the big DoA migration I've been pretty far out of the loop for other companies. :( When considering a new doll, I research intensely before making any decisions - owner photos, reviews, videos, hybrids, seeing them in person when possible, etc. Dropping so much money on a doll is pretty nerve-wracking so I'm always very careful before I make the final decision. Do your dolls have a back story? The four dolls I've expressly purchased (and my Picco Neemo, sort of) have a backstory. I've been working on it for a few years and the pieces are just starting to fall into place. Hopefully I can start sharing it properly soon! The other two (LittleFee Chloe, and MaskcatDoll Belina) have a sort of... personality? that makes me gravitate toward certain styles, and feel odd dressing them in certain things but no backstory or specific character. How do you take photos of your dolls: go outside, prepare a big setup, or just snap in any place? Outside is where my favourite photos are generally taken, but it gets really cold here, and some of my dolls aren't the best posers (even with stands) so I tend to stay inside more than I should. The last while I've been really lazy with photos and just take them wherever, or in front of my little corkboard set up where I do sales photos. In 2014 I was taking a lot using computer backgrounds and they came out really well. My favourite photo of Mali was taken like that. But we've since moved the computer and this isn't possible anymore (my laptop screen isn't big enough). I'm hoping to get a few big photo sets done in 2016 so maybe I can move into the 'prepare a big set up' camp soon. I'd love to be able to pull off some of the things Revilis and Lightly Battered do. Which is your main avenue to enjoy the hobby? Blogs, videos, forums, social sites? Most of my enjoyment comes from making things for myself, which is quite disconnected from the social parts of the hobby. But otherwise, I think it comes from interacting directly with other people in the dolly world. Looking at beautiful photos and projects on Instagram, Flickr, and blogs is great, but it's not the same as having a real conversation with a real person. Have you done doll cosplay? In addition to the questions, I said I was going to add my own questions and some recommendations for people to check out... but I think I'll put that in a follow-up post because this is quite long already.